The agonizing question of which round to apply in plagues the majority of business school applicants. Every season, I field a glut of emails and calls from clients wondering whether they might have a better shot in Round 2 rather than 1, or if it’s even worth trying to submit an application in the final round. The schools regularly address the question on their admissions blogs, but the answers seldom provide insight beyond the standard advice of applying whenever you can put forth the strongest application package. So, to shed some light on the subject, I decided to poll several consultants on my team, all of whom have worked in admissions at the top MBA programs. While there may be no definitive answer to this age-old question, I believe you’ll find their feedback illuminating. 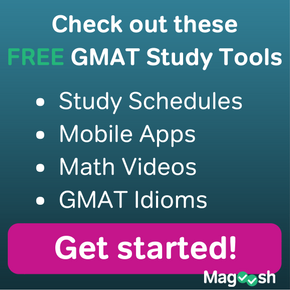 First round applicants tend to be extremely well-prepared candidates who have known for some time that they want to go to business school, and have spent considerable effort preparing for the GMAT, cultivating their extra-curricular activities, and actively seeking out leadership opportunities either at work or in a volunteering setting. Pros: Getting your application out there early shows serious interest and planning. One could argue that in this round, you have the greatest chances—statistically speaking—since you’re only being compared to the current candidate pool. In fact, a former Chicago Booth School of Business AdCom member says 65% of the candidates are accepted during this round. For applicants to tier-2 schools (top 20-40), applying in the first round conveys that the school is a top choice and could result in a scholarship, says a former Rice Jones Graduate School of Business AdCom member. Another plus to applying early is that it gives you time to consider applying to other programs in later rounds if you’re not admitted in round one. Programs with an Early Action or Early Decision round, such as Tuck School of Business and Columbia Business School, really value the commitment shown by applying ahead of the crowd. An ex-Tuck AdCom member shares anecdotal reports that Early Action applications were up 30% this year. Since Tuck’s class size is so small, earlier truly is your best shot. Likewise, a consultant formerly with Columbia admissions says if you’re committed to CBS you should absolutely apply in the Early Decision round, as it’s the only school with a binding decision. Columbia will also frequently offer applicants a spot in the January start if September is full. In the end, there are more slots available in Round 1 and more opportunities to be placed on the waitlist if that’s the route the admissions committee decides to take, says a former Duke/Fuqua School of Business AdCom member. Cons: There are a lot of strong applications coming in during this round, says one ex-Wharton School admissions staffer, so you’re competing with more impressive and more thought-through applications. 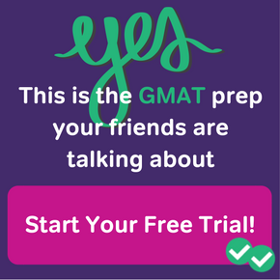 According to an ex-Kellogg AdCom, you’re much more likely to be waitlisted for this round versus Round 2. 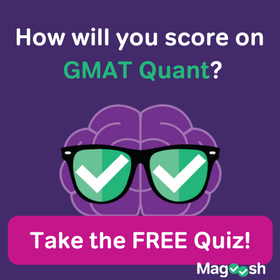 If you need to demonstrate your commitment to improving your quantitative profile by taking additional coursework, or believe you can perform significantly better on the GMAT, you probably should wait for a later round if you can’t bring up you score in time for Round 1. Second Round applicants have the advantage of being able to schedule a campus visit in the fall prior to submitting their applications, which can help tremendously when it comes to drafting compelling essays and demonstrating that all-important “fit” with your target schools. Pros: The more general population tends to apply in this round, so this one may be more favorable for candidates with less-than-perfect backgrounds, says the former Kellogg AdCom representative. If you’re accepted in this round, you’ll have plenty of time to start making all the preparations you need to get ready to embark on this next phase of your life, from leaving a job to moving. This is when most of the seats fill up, explains a former Wharton AdCom member, so accepted candidates have a chance to participate in a Welcome Weekend and make a sound decision on a school. On the flip side, rejected applicants will have quality time to start strategizing their reapplication for the next year, notes one ex-Chicago Booth admissions member. Cons: The highest number of applications is received in Round 2, which makes competition fierce with candidates who are compared to the Round 2 pool as well as the accepted candidates from first round. Your application may not stand out as much if you have a common profile, warns a former Wharton AdCom member. Another potential downside is the increased volume may mean longer processing times, and some schools might waitlist applicants they never had a chance to interview. Also, the class is more set by the end of Round 2 versus Round 1, explains an ex-Kellogg AdCom, so applicants are less likely to be waitlisted or get off the waitlist. This is by far the trickiest round, as almost all seats have been filled and the schools are waiting for stellar candidates who will help round out the class profile and add some flavor to the mix. While the schools encourage those who have prepared a solid application to apply in the final round, they candidly admit it is über-competitive and often counsel explaining why you’ve waited in an optional essay. Pros: While it’s better to submit a strong application in the final round than a weak one in Round 2, if you have a non-unique background your application is far less compelling at this point. Finding a consultant to endorse this round proved almost impossible, as one former AdCom explains that the best people suited for this round are those with a highly unique background that would truly add to the class. From the admissions point of view, a former AdCom member from the UC Berkeley Haas School of Business says there were places available at the end because by that time, the school knew who had already accepted offers elsewhere. Cons: Aside from the potential drawbacks of having no choice but to interview on campus and miss out on welcome weekends, our ex-Chicago Booth insider reveals that programs say this round is reserved for waitlisted candidates and the “super human”, such as the Olympics gold medal winner from Cameroon. Statistically speaking, one’s chances are little to none. There are so many random factors that come into play when it comes to making admissions decisions. Much depends on who is reading the file, their mood, how tired they are, and what other applications are in the pile they read that day, notes the former Haas School representative. Everything else being equal, I would always advise a client to apply as early as possible to any program so long as you aren’t sacrificing the quality of your application.